Education: Museum Art School, Art Students League, studied under C.S. Price. Collections: Portland Art Museum, Seattle Art Museum, MOMA, Philadelphia Art Museum, Victoria and Albert Museum-London, Bibliotheque Nationale-Paris, Timberline Lodge, Museum of People’s Art, Hallie Ford Museum, U. of O., Reed College, OSU, Mills College, Kaiser Permanente. 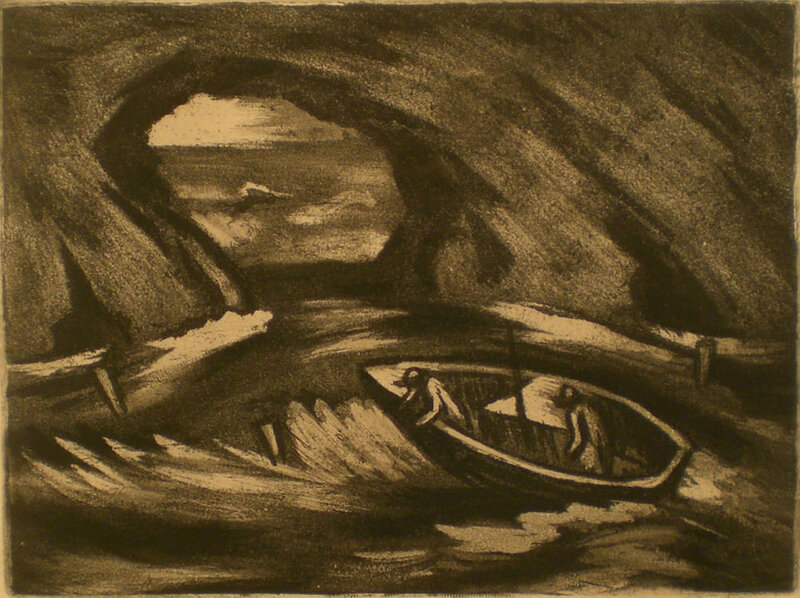 An art teacher at the Museum Art School (now the Pacific Northwest College of Art – PNCA) for 42 years, established the print collection at the Portland Art Museum, as well as contributing to the WPA works at Timberline Lodge, Givler has had a major influence on Oregon artists since 1931. He has exhibited his art across the U.S. He worked in all mediums but is often best known for his prints, especially his Northwest Landscapes.